We help with your Immigration to New Zealand. Read about Migration to New Zealand Issues. Apply for a free New Zealand Immigration Assessment! New Zealand immigration agents help you to understand the immigration procedures. You will be eligible to get an free check done. Please check the form below to get started! Check with us from time to time to know about various job opportunities offered by industries in New Zealand and changes made by the immigration authorities to facilitate international students and immigrants. We offer free Immigration to New Zealand advice, please contact us for more information! 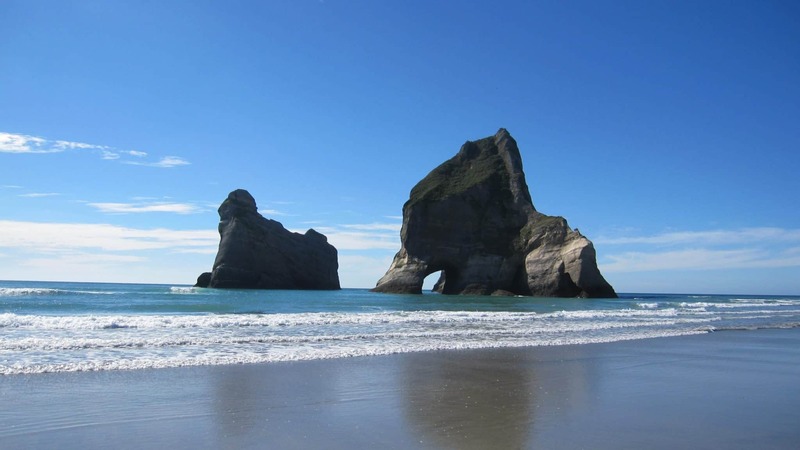 Go To New Zealand is not affiliated with the New Zealand Government but is an independent Education agency. We work in partnership with New Zealand immigration agents to offer you comprehensive information services. can check your documents and visa processing. 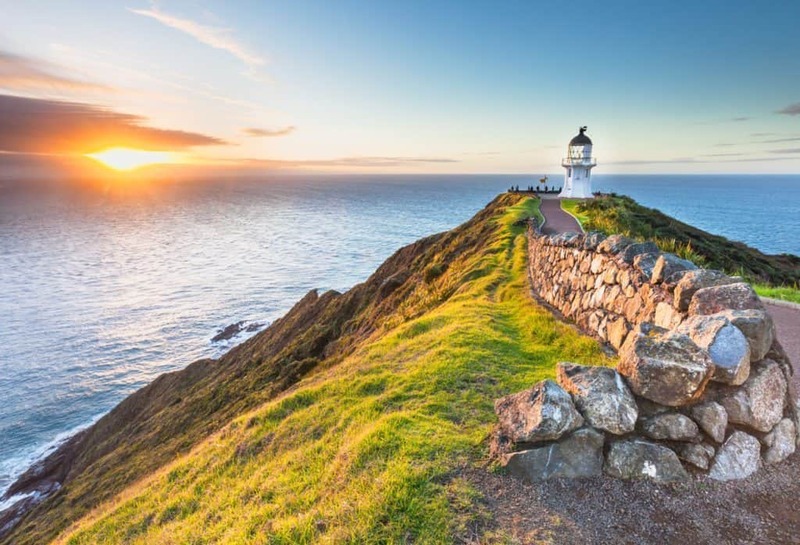 Immigration New Zealand - Cape Reinga at Sunset. The best possible way to successfully immigrate to New Zealand is to seek advice and all possible information from licensed immigration expert. Once you contact the New Zealand immigration cell, representatives would ask you to specify your career aspiration, education and job history, financial assets, family set up and similar information. This would enable our expert can guide you to select the right career choices, visa categories, and settlement options. An evaluation to enable you to know your chances to immigrate to New Zealand under Skilled Migrant Category or Business streams. proposal that provides step-by-step procedure on how to immigrate to New Zealand. A detailed list of all type of expenses, including miscellaneous ones that you would incur in the immigration process. …And, we would also follow up via telephonic talk on any issues or queries on the New Zealand immigration process. Additionally, our Job Search Service would submit a proposal regarding prospective jobs available in the market as per your qualification and experience. For more information about our free New Zealand immigration services, please contact us. GotoNewZealand.co.nz is your gateway to NZ immigration and education pathways. We are registered education agents and work together with our partner immigration agency. New Zealand Immigration Concepts Ltd is our partner agency and representatives offer tips and advice to prospective immigrants. All immigration related questions will be forwarded to our partners. Contact New Zealand Immigration Concepts Ltd for employment opportunities, settlement, accommodation and immigration options. Licensed agents answer your questions and help you with the documentation and application process. Skilled migrants and those looking for permanent residency are welcome to apply for a free assessment! When it comes to education related inquiries the team of GotoNewZealand.agency will answer your questions. Unlike most education guides that charge extra for education services, we don’t. Our authorized education counsellors advise students on student visa application, courses, and more at absolutely no cost. We welcome international students to apply for our services. Free Immigration to New Zealand Assessments New Zealand Immigration Concepts Ltd is our partner agency and licensed Immigration Agents offer a FREE Immigration Eligibility Assessment for Migrants. Please click here to send us your details for a free assessment! If you are serious about immigrating to New Zealand, the New Zealand Immigration Concepts Full Assessment Package definitely is the way to go. It will give you a head start and point you in the right direction right from the beginning. a job search proposal regarding your search for employment in New Zealand, the offer of a follow up telephone call to discuss any questions you might have concerning our assessment and proposal. The Full NZIC Assessment Package - put together exclusively for you based on your individual circumstances - is available for a very reasonable fee which will be deducted at a later stage, if you decide to proceed with your residence application. If you are serious about migrating to New Zealand we suggest that you ask an immigration expert before taking any steps on your own. New Zealand Immigration Concepts Ltd is our partner agency and licensed Immigration Agents offer a FREE Immigration Eligibility Assessment for Migrants. By obtaining a detailed Immigration New Zealand assessment of your individual chances, you will be able to get a head start for your immigration to New Zealand that will point you in the right direction right from the beginning. A detailed written assessment by New Zealand Immigration Concepts will include an evaluation of your chances to immigrate to New Zealand under Skilled Migrant Category or one of the Business streams, a proposal on how to proceed and a comprehensive list of all cost to be expected. New Zealand Immigration Concepts assessment package also includes a follow up phone call to discuss any questions regarding the migration process - they speak German - and a job search proposal by the Job Search Service regarding the search for employment in New Zealand. By giving them some details about yourself and describing your plans for New Zealand, you will enable New Zealand Immigration Concepts to briefly assess your chances of obtaining a residence permit. If, based on the information you are about to give New Zealand Immigration Concepts, they come to the conclusion that your chances under the Skilled Migrant Category are not promising, they will advise you accordingly and might be able to suggest an alternative pathway to New Zealand. New Zealand Immigration Concepts is happy to provide this brief assessment for free - no strings attached. We help students to Immigrate to New Zealand. Enhancements of immigration policy will be made for international students to work and study in New Zealand. International students who have graduated from a course that would gain points under Skilled Migrant Category will be eligible for a six-month open work permit. The pool of students eligible to work part time while studying will be expanded to include Year 12 and 13 school students and some English language students, provided certain conditions are met. Eligible students will be able to apply to work for up to 20 hours a week during term, instead of the current 15 hours. Anyone undertaking a course of 12 months or more will be able to apply to work full-time over the summer holidays. Partners of students studying in areas of absolute skill shortage and partners of all postgraduate students will be able to apply for an open work permit valid for the duration of the student’s course of study. Free Immigration New Zealand Advice! 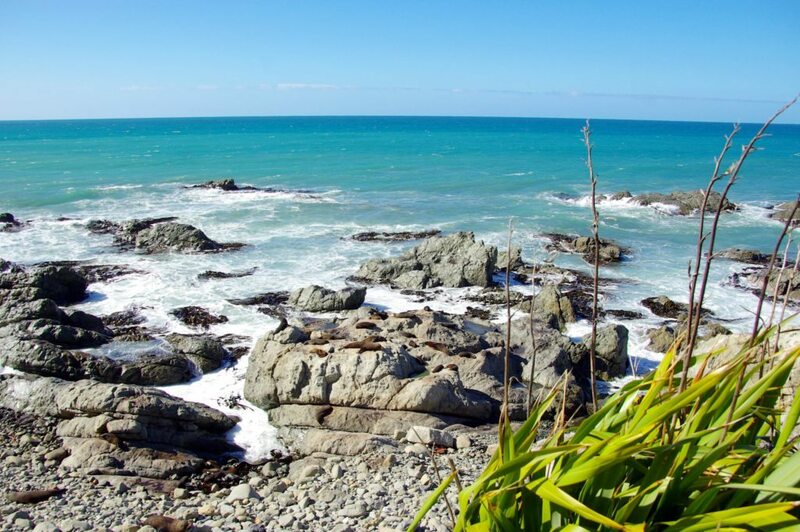 Many skilled people, students, and travellers plan to immigrate to New Zealand each year. You must fulfil the visa application formalities to get your visa sanctioned. 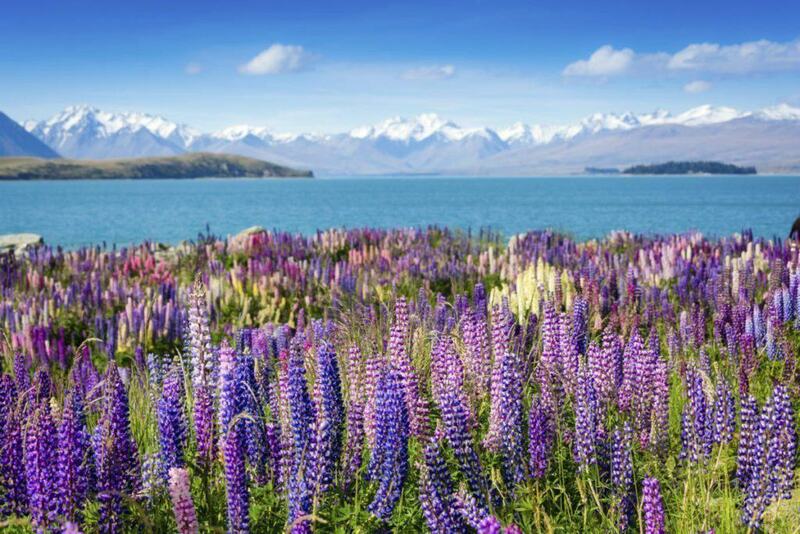 Some visit New Zealand on a Student Visa, Work Visa, or Working Holiday visa. Visa applications must be filed accurately so that immigration authorities sanction the visas. At Go To New Zealand, we have a dedicated team which helps international students to get a valid Student visa or interns to get a Work Visa. If you answer our detailed visa assessment, you will be able to find out your chances to get your visa. As a part of our assessment package, we will call you to know more about you and your aspiration to immigrate to New Zealand. Our Job Search Service will help you to get suitable employment or internship in New Zealand. The assessment will also be done separately to check if you can immigrate under Skilled Migrant Category or under Business streams. We also help you get a Student Visa in case you want to study in New Zealand. Many international students seek help to get a Student Visa. We can help you get one. Apart from giving you tips and advice, we also offer services for free to facilitate your visa application. To apply for a Student Visa, you must know the institute you want to study and whether you have the required qualification to get the same. There must be an offer letter from the institute. You must also have a health and character certificate. There must be evidence of financial support as well. A written guarantee from the institute on your accommodation is also a must. Please ring our help desk for more information and advice on New Zealand immigration issues. Applicants who possess relevant qualifications are eligible to enter New Zealand under the skilled migrant’s category. Work permission in New Zealand has allowed specialists to make a lucrative career move in the country. The highly skilled immigrants include those from software industry, agriculture and dairy farming, and healthcare. Just like availing a working holiday in New Zealand is not difficult especially during the pick fruit harvesting season, getting plum jobs by top skilled immigrants has become an effortless task today. Innumerable successful professionals migrate to New Zealand each year and stay on as permanent residents in the country. Top executives, surgeons, computer specialists, scientists, professors, technocrats, and similar experts get a warm welcome in the country. Suitable job opportunities, tolerant society, and friendly workplace environment have been some of the important factors that appeal the highly skilled people to look upon New Zealand as a means to propel their career. Recently, top jobs seeking specialists and creative artists for the film industry have flooded the job market. The jobs include not only in the traditional film production but also digital production, animation, screen play, and similar creative works. The country won more than 10 Oscar nominations and many awards on cinematography and screen plays. As the market is upbeat, international creative artists are making a foray into the job market in New Zealand. The administration has also given support to promote creative work. The creation of National Film Office is one such effort. Other sectors which have job opportunities for the top band pros include executive posts in wineries, breweries, dairy farms, hospitality sector, tourism, manufacturing, design work, information technology, entrepreneurship, telecommunication and mass communication. 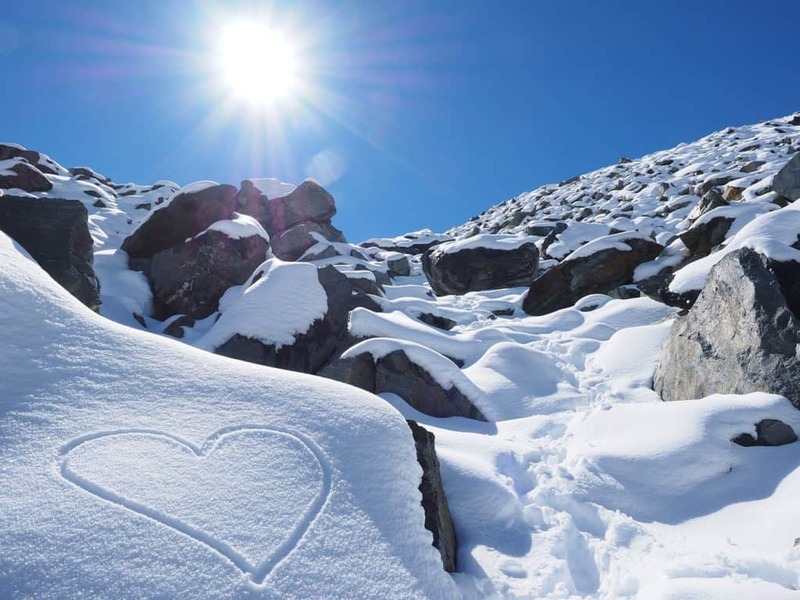 The country’s image, innovation, encouragement, and networking have time and again appealed to people who want to move in permanently in New Zealand. Today, New Zealand has made permanent residency hassle-free for high-skilled professionals. Although people come over on Working Holiday visa or Working visa, the options to move on to permanent residency is methodically and without unnecessary delay. He or she must be of good health and without any diseases as given in the Immigration Law. He or she must have a good character. Police clearance certificate must be enclosed with the application. He or she must have the ability to communicate in English. An English language test for foreign students must be passed and a certain point must be scored to get the clearance. At least a 3-years professional degree or university education. Certain point attained that depends not only on English language capability but also how easily the immigrant will be able to settle and get a viable job. The need for experts are more in Auckland and Canterbury as they are the center of retail trade, construction work, wholesale, transport and administrative services. Immigrants working in a Long Term Skill Shortage Occupation or an Immediate Skill Shortage Occupation would get a fair chance to stay in New Zealand under Skilled Migrant Residence category (SMC). With the nation currently experiencing a skills shortage, applicants who possess relevant qualifications are eligible to enter New Zealand under the skilled migrant’s category. Of special interest are those with qualifications in education, health and medicine, information and communications technology, agriculture and farming, engineering and tradesmen. All applicants must be aged between 20 and 55 and must meet certain health, education, character and English proficiency criterion. Interested parties may submit an Expression of Interest on the Immigration New Zealand website. The website also offers further information on desired skills and the regions of New Zealand in which they would be best suited. An Expression of Interest applicant is awarded points based on their relevant skills, qualifications and experience. Every two weeks, Immigration New Zealand invites applicants with an Expression of Interest score of 140 and over to apply for a visa. Applicants with an EOI score of 100 – 140 (inclusive) are further scrutinised, and a selected few are issued an invitation. Applicants who are invited to apply for a visa must then submit proof of their experience. This may take the form of academic transcripts, university degrees, references from previous employers and evidence of any awards received. The applicant must also provide proof of their health and good character, in the form of medical records and a recommendation from the police in their home country. They must also prove their English speaking abilities. Family members who will be moving to New Zealand with the applicant must also provide these references. INZ will then deny or approve the application. If it is approved, the applicant will either be issued a full residential visa or permit, or will be issued a temporary, nine month residential visa or permit. If the applicant finds gainful employment within those nine months, thus proving they are able to contribute to New Zealand society, they will then be issued a full residential visa. The General Skilled Category is points based system. If you are a principal applicants under this category you are assessed by a points based system. The General Skilled Category is points based system. If you are a principal applicants under this category you are assessed by a points based system. You may score points for a number of factors such as your qualifications, work experience, age, settlement factors, assets and job offer. In addition, you and any family included in your application must meet health, character and English language requirements. occupational registration in New Zealand. The minimum age to lodge an application is 18 years and the maximum 55 years; the minimum required work experience is two years and all applicants must meet a minimum standard of English. You are able to apply for Permanent Residence with less than the pass mark. Providing the Immigration Officer allocates your points within 5 of the pass mark then he/she offers you a Work Visa and provisional Permanent Residence status. This allows you to come to New Zealand (you must arrive within 3 months from the date the visa is issued) and upon arrival you will be given a 6 month work permit. Once you find full time employment, you will be allocated the extra 5 points for the offer of employment and you then become New Zealand Permanent Resident. Please contact our partner agency New Zealand Immigration Concepts to get started with a free immigration assessment! Apply for a free immigration New Zealand assessment! Please send us your CV to get a free assessment! Student may apply for advanced study at universities. 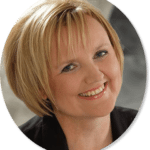 Immigration New Zealand - Book a consultation! Are you thinking of immigrating? Are you interested in learning more about living and working in New Zealand? If you are planning to migrate to NZ New Zealand Immigration Concepts offer you as our partner agency an opportunity to learn more about moving and settling in New Zealand. Individual consultations with an immigration expert give zou the opportunity to take a step further with a more individual approach. The seminars will provide you with an overview of New Zealand's Immigration Categories and corresponding requirements. You will also take a way a lot of useful information on employment, living, finances and housing, just to name a few. Please refer to the attached Seminar Agenda for further information. The individual consultation will give you the opportunity to discuss your personal plans with the aim to assess your chances of immigrating and create a tailored scenario for your circumstances. This includes a written professional assessment. Seminars consultations will be conducted by Dr. Carsten Hallwass. Dr. Hallwass is a licensed New Zealand Immigration Adviser /Licence Number: 200900212 and German lawyer and Licensed Immigration Adviser Julia Cooke/Licence Number: 200901849 You have already contacted us through our website, therefore we offer you the chance to register before we will make those seminars available to the public. Places are limited and an early registration is highly recommended. New Zealand Migration Tips & Advice We offer free Immigration to New Zealand advice, please contact us for more information! Your journey to New Zealand starts now. Take the first step. What is the best Visa option for your situation? New Zealand labourmarket – Does this country still need skilled migrants? Carsten Hallwass is a German lawyer who migrated to New Zealand in 1994 and established the immigration consultancy New Zealand Immigration Concepts Ltd. in Nelson. Immigration Adviser from the Immigration Advisers Authority IAA. You will have the opportunity to ask questions and discuss your plans. New Zealand has many jobs to offer. For immigrants with an adequate education and work experience New Zealand is a highly attractive country to work and live in. However, various immigration categories as well as a punct system prevent big „immigration waves“. New Zealand’s immigration policy aims at attracting highly educated immigrants and solvent investors. In most cases the requirement for a work permit is a job offer from a New Zealand company. More than 10 percent of New Zealand’s employees are freelancers. More people are employed in the constantly growing service sector than in agriculture, forestry and in fishing industry. Work laws guarantee national minimum wages which must not befallen short of. Everybody who can produce a job offer in an industrial sector seeking manpower, is entitled to apply for a work permit. Alternatively, potential immigrants can also apply for a talent visa, a long term business visa and priority occupations list policies. Hundreds of immigrants from various parts of the world come to New Zealand to work and perhaps, stay on permanently in the country. Not only skilled people but unskilled migrants move in to the country regularly. Some years back, many professionals from UK made New Zealand their popular destination to work, study, and settle. After the World War II, people without jobs moved to New Zealand for a better life from UK and the US. Labor shortage in New Zealand attracted thousands of immigrants from European and American nations. However, the trend slowly changed at the latter part of 20th century when the Immigration Law was passed by the New Zealand government. Under the new Immigration rule, people with the required skills would only be invited to enter New Zealand. Job demand would propel the type of people required to work or settle in the country. The jobs would be given based on the education qualification of the individual, English language fluency, and experience. During 2015, majority of the immigrants were under skilled migrant category – people who had relevant work experience and knowledge. According to the 6th yearly migration report, there has been a steady rise in work permits, especially in the field of information technology, business, and horticulture. The demand for skilled people under these categories has ensured the more than 50 percent of the immigrants settled in New Zealand under the Permanent Visa. Today, the need for skilled migrants does exist. As New Zealand is still developing its basic infrastructure, the need for construction workers, skilled civil engineers, and tradesmen are high even today. Upcoming cities or cities which require a facelift need skilled pros. The “Rebuild” Christchurch project for instance, has ensured jobs for construction workers, designers, and architects. The recession in the global economy has taken a toll on the influx of labor force that had planned to enter New Zealand on temporary visa. Apprehension about the downturn hitting the New Zealand market has dissuaded unskilled people to move in to the country. As a result, the net immigration trend has been slow in the recent times. Not only in the unskilled category but also in the category of permanent residency, there has been a decrease in the number of people immigrating into the country. Due to recession, many people did not want to shift their base. Added to the economic woes, the Canterbury quake and infrastructure devastation has also dissuaded people to look for permanent residency in the country. It is expected that there will be a rise of immigration in all quarters to New Zealand in the next few years. While there may be similar or lower rate of immigration from developed nations, the rise in the number of immigrants would likely to be seen from India, South Africa, and other Asian countries. There have been a lot of changes in the Immigration Laws, which could result in a certain trend of immigrations in the country. According to the policies, wealthy immigrants have a greater chance to survive and settle in the country. However, highly skilled pros have an equally better chance to settle and enjoy a bright career in New Zealand. When entering or departing from any new country it is essential for you to be aware of customs rules and regulations. If arriving in New Zealand you will need to be aware of which items you will need to declare, as certain items may not be allowed into the country. Items you will need to declare are: weapons, indecent articles, drugs and illegal substances, wildlife products, any goods more then the $700 allowence or if you are exceeding the amount for tobacco or alcohol allowed to enter the country, any goods required for commercial, business or trade purposes, any goods that you may be carrying on behalf of another person and the equivalant of New Zealand $10,000 or more. Remember baggage may be searched by customs on their request. If you do not declare a prohibited item then fines will apply. When boarding an international flight you will be required to provide your Passenger Card, Passport and Boarding tickets. If you abide by these rules it will ensure a happy and safe overseas trip. During 2005, majority of the immigrants were under skilled migrant category – people who had relevant work experience and knowledge. According to the 6th yearly migration report, there has been a steady rise in work permits, especially in the field of information technology, business, and horticulture. The demand for skilled people under these categories has ensured the more than 50 percent of the immigrants settled in New Zealand under the Permanent Visa. The best possible way to successfully immigrate to New Zealand is to seek advice and all possible information from our immigration expert. Once you contact our immigration cell, our representatives would ask you to specify your career aspiration, education and job history, financial assets, family set up and similar information. This would enable our expert can guide you to select the right career choices, visa categories, and settlement options. An evaluation to enable you to know your chances to immigrate to New Zealand under Skilled Migrant Category or Business streams.A proposal that provides step-by-step procedure on how to immigrate to New Zealand. A detailed list of all type of expenses, including miscellaneous ones that you would incur in the immigration process. …And, we would also follow up via telephonic talk on any issues or queries on the immigration process. Additionally, our Job Search Service would submit a proposal regarding prospective jobs available in the market as per your qualification and experience.